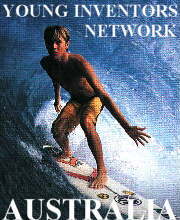 Young Inventors Network Australia is part of the international Young Inventors Network Association. YIN helps creative kids to develop inventions, win prizes and communicate with other young inventors from all over the world. Questions? Please. Why not become a YIN member ? This page is made of recycled electrons.